In Korea, it is hard to look for small subcompact cars classified as B segment. This may be due to a variety of reasons, but it is also due to the fact that small cars have little merit compared to the marketability of compact (Small family) size cars, which might be classified as a C segment. In Korea, the presence of small cars has become less noticeable among microcar with various benefits, compact size cars with higher marketability and similar maintenance costs, and recent SUVs and CUVs. On the other hand, generally, a small-sized subcompact car can be someone's first car, a very practical second car, or even a role as a fashion item with plenty of personality. The area of subcompact car with small size and low price is quite tricky category that should have small but appropriate performance and interior space, meet driving performance, latest safety and environmental regulations, and consider mass production technology for competitive price range. The number of brands that can produce perfect and mass-producible small cars “properly” can be counted on the fingers of one hand across the globe. Going through four generations in the European subcompact car market, Renault Clio is the best-selling model in this tricky market, with more than 14 million units sold and a variety of awards. 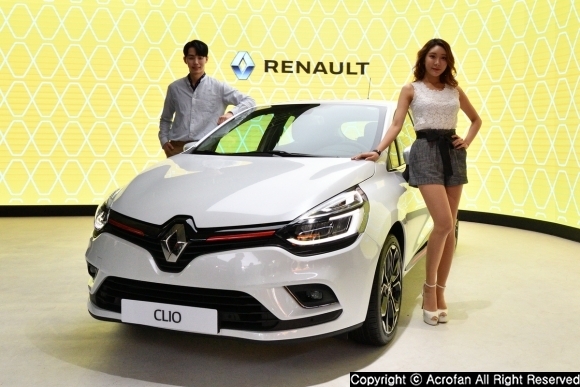 Introduced as Renault brand through Renault Samsung Motors in Korea as it is, Clio is the base model of Captur(well known as QM3 in Korea), which was already launched in Korea, and it is one of the most confident Renault cars. 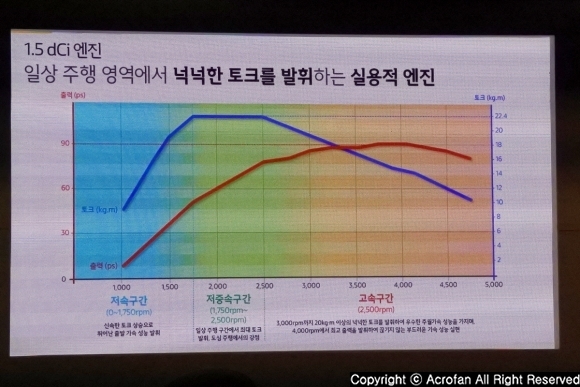 That Renault Samsung Motors present Clio as Renault brand as it is to this tough subcompact car market in Korea seems to have symbolic meaning more than simply increasing sales volume. ▲ Due to its wheel base, which is long compared to the whole length, and volumized body, it gives stronger presence than expected. Renault Clio is Renault’s representative subcompact car to be launched in 1990, following the ‘Renault 5' model, which has led Renault's Renaissance in the European compact car market. It has now reached the fourth-generation face-lift. In the meantime, it has won the 'European Car of the Year' twice and has maintained its top position in the European market for more than 10 years. The total sales volume has been recognized by the market with more than 14 million units so far, and it had been the first model to adopt Renault's new design strategy. ‘Love’, which is the first theme of Renault’s design themes, 6 types of ‘Life Flower’, is a motif of Clio’s design. The total length is 4,060mm, the width is 1,730mm, and the height is 1,450mm. The total length is just over 4m, but I do not think it is smaller than expected due to the design that highlighted the volumized body. Also, in the hatchback design of the short total length, the wheelbase is 2,590mm, which seems to be reduced the front and rear overhangs of the vehicle as much as possible. At the same time, the intense trim also has LED Pure Vision headlamps and 3D type LED rear combination lamps even in subcompact cars. It is seemed to aim at differentiation from the perception of the general subcompact car in terms of design. 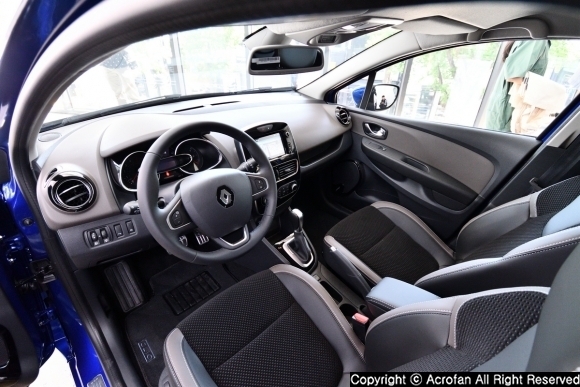 The interior of the car shows signs of bringing personality even within the restrictions and limitations of small cars. The parts such as illuminating kicking plates applied to the intense trim will make the vehicle look livelier to the driver. The internal design and configuration give a slight different feeling from QM3, which is already familiar to the domestic market. This might be because the arrangement is different while the components are shared similarly. Compared to the fancy center fascia of the newest cars of the higher class, it looks simple, but it only has necessary functions and the AVN-related operation is solved with the 7-inch display. ▲ The interior is similar to that of QM3, but there are some differences. 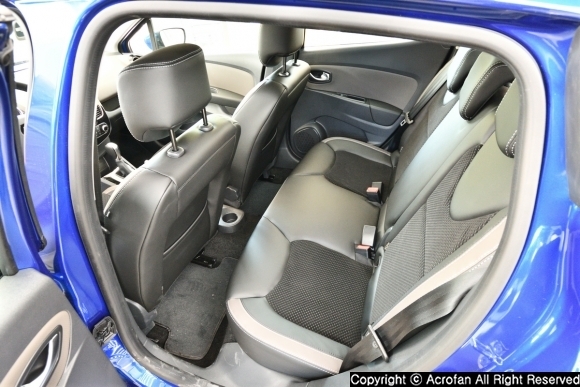 ▲ The rear seats are prepared at a practical level. Interesting features that can be found indoors might be a center armrest on the seat, which can be also found in QM3. The armrest, which has a small storage space, has both convenience and discomfort. It is good to put arms, but sometimes hands are hampered when fastening the belt and sometimes it covers the cup holder of the center tunnel for the back seat. Another interesting feature is that the handbrake is attached to the passenger seat. It is confusing whether the design is for the left-hand traffic or the cup holder at the driver seat. The interior seat is made from both leather and velvet. It is satisfactory as it captures the small car's characteristic in terms of design and it is also smooth that fits the body well. The rear seat can be folded at 6:4, providing a practical space with 300L of basic trunk capacity. Notwithstanding small size of the vehicle, the rear seat provides enough space that even an adult can ride without any inconvenience through various optimizations. In addition, Clio is faithful in its use as the family car by equipping 3-point seat belts for all the seats, separable rear seat headrest, and ISOFIX. 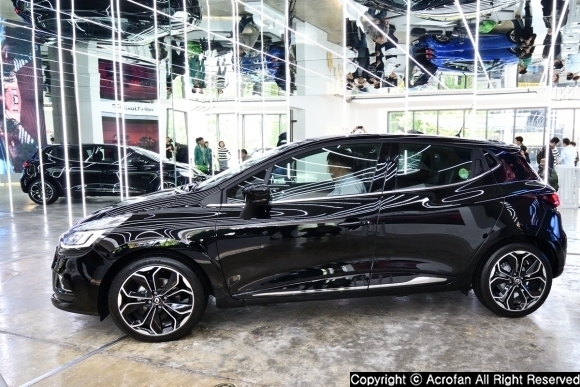 Clio had been brought in without any change of Renault brand, there is a slight change for Korean market. A typical example is AVN system 'Smart Connect 2' with 7-inch display. It has various functions including T-map navigation, easy parking, and smart phone full mirroring. In conjunction with the built-in rear-view camera, provides a parking assist function similar to the 'around view' without any additional camera. Besides, electronic chronic mirror (ECM) with electronic toll collection system (ETCS) function for convenience in the domestic environment is also applied. ▲ Clio is equipped with 1.5L dCI engine, which is also found in OM3. The powertrain is a combination of a 1.5L dCI engine and a 6DCT of Getrag, which is also seen in QM3. The maximum output is 90ps at 4,000rpm and the maximum torque is 22.4kg.m at 1,750-2,500rpm. This powertrain is a combination that emphasizes economic efficiency, symbolized by fuel efficiency. Clio’s average fuel economy certification by government is 17.7km/L even with the combination of P205/45ZR 17 tire size. What’s more, in almost everyday environments, the torque unique to diesel is used to make light drive without any major inconveniences. The lighter weight of the empty vehicle than that of QM3 makes it possible to reduce the burden on the output of the powertrain and increase lightness. For safety and convenience related to driving, it is equipped with electronic stability control (ESC), tire pressure monitor system, EBD-ABS, hill start assist (HSA), emergency stop signal (ESS), etc. Moreover, the cruise control and speed limiter are included as standard, and eco mode is provided to maximize the economy of the powertrain. In addition to this, the auto stop and start system is installed for maximizing the fuel efficiency, and it is interesting that Clio uses the 12V standard of the battery although it is equipped with these systems. The suspension uses a combination of a MacPherson strut at front wheels and torsion beam at rear wheels, which is regarded as a standard rule for small cars. The brake uses ventilated disc at front wheels and a drum brake at rear wheels. The use of drum brakes on the rear wheels seems to be an option of affordability for system setup and use, and now various electronic controls are being applied to the drum brakes. The steering system uses speed sensitive electronic power steering (SS EPS) and, in addition to the auto-lighting headlamps, another option that stands out regarding drive might be a rain-sensing wiper, which is basically installed. ▲ The model for the test drive is 1.5L dCl intense trim, which is an advanced specification. Acrofan has test-driven Renault Clio's intense model through Renault Clio media test drive hosted by Renault Samsung Motors held in Gangneung, Gangwon-do, Korea. The demonstrator was a 1.5 L dCI intense trim which has been launched in Korea. It is a full-option model equipped with an electronic chronic mirror with hi-pass function, which might not have much meaning in deciding the trim. The test course is 62km one-way from the Golden Tulip Sky Bay Gyeongpo Hotel to Haslla Artworld located on Jungdongjin beach. It was able to feel the ability of Clio in daily driving, high speed driving, and a slight winding. When you first get in the car, the seats using velvet material are soft and you might feel a bit high even though the height is adjusted as low as possible. Since many aspects of the interior design and atmosphere are shared with QM3 and the height is also similar to QM3 at the same time, it feels like riding QM3. The center fascia uses a touchscreen-based AVN, and the buttons are only for air conditioners and emergency lights. Although there is no more to be desired in terms of functions, it feels like going between the neatness and the emptiness. And the immediacy of audio control can be solved with the audio remote control of the steering wheel. The feeling of the first departure is light, and it feels like the power is not greatly lacking. With 90 ps, 22.4kg.m torque and 1,235kg for empty vehicle weight, and the weight per horsepower is not much different from the latest microcar, but it feels a bit different from a microcar. This is because the output and torque available at around 2,000rpm are considerable. The 6DCT shows movement that is close to the softness of the latest automatic transmissions and brings out the performance of the engine well. When accelerating at the low speed section, depending on how fast you step on the accelerator, sometime you might feel frustrated since it tries to increase the speed while maintaining the transmission gear ratio at an excessively low RPM. Acceleration up to the regulated speed for the highway around the city is somewhat satisfied. At 100~110km/h, the engine shows around 1,600~1,800rpm, and since it is near the starting point of the maximum torque interval, there is a room for additional acceleration. And a moderately smooth suspension in daily driving adequately controls the left and right movements while reducing shocks and leaving some movement of back and forth, so it has left a little fun aspect. The suspension, which conveys the unique feeling of French brands, seems to be a compromised setting that was used by cars of the previous generation, rather than the latest generation. I wonder what if the tire size was a 16-inch wheel. ▲ The ability of the powertrain itself is a little disappointing, but it is easy to pull out all of its potential. If you get out of the city and get on the highway, you might be a little disappointing at powertrain. When kept on accelerating after joining, the powertrain seems to be used all its energy at around 150km/h. This is probably because the torque drops after 3,000rpm and the shortcoming of the maximum output becomes evident. In terms of the car body and suspension, it is still stable enough and can run even more, but it is frustrating that the powertrain reveals its limit. 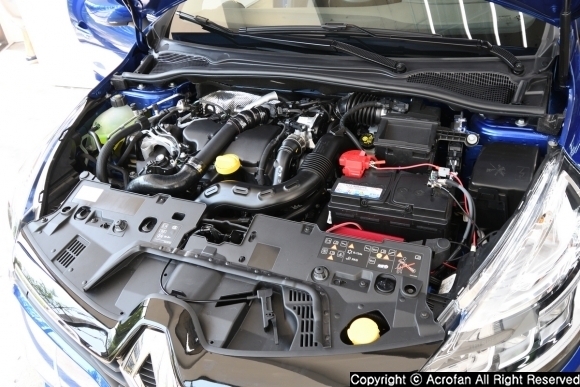 Renault Samsung Motors has emphasized 'balance' in this 90 horsepower setting, but if a high power setting was equipped even if it is the same 1.5L dCI, I believe Clio could have both outstanding fuel-efficiency and performance. On the long uphill, which might have been a special case since the location was Gangwon-do, feel the lack of power a little bit in some cases. Of course, it is better than not being able to maintain speed like a microcar, but in any gear ratio that can be selected at a certain speed, all of them were ambiguous to maintain speed. The reason why Clio’s 90 horsepower powertrain did not have frustrating feelings until it meets this situation might be the maximum performance of powertrain can be expressed relatively easy without burdens. In case of a gasoline engine of a microcar, it is more difficult and cumbersome to pull out performance while actively using up to the high-rev range where the maximum output is generated. In winding, the suspension has a soft tendency, but it adjusts the speed of movement. So, it seems to be moderately soft and have a feeling of utilizing both fun and performance. At the corner that needs deceleration, Clio still gets out of the corner well, and when sudden braking and changes of direction are continued, a feeling of lifting rear part is evident, but the posture is steadily maintained. On the other hand, there was a case where the electronic control did not come in even when the tire was sliding with a slight understeer at the time of the test. The result of the discussion with the other test drivers was that the reasons were the slippery road surface of the time, tire performance that does not meet the electronic control setting standard, and the characteristics of electronic control intervention. It is a little disappointing to think that it is electronic control for such a bad condition. During the rain in the process of the test drive, the convenience equipment with high satisfaction were auto light and rain-sensing wiper. In addition, the T map navigation for the domestic model and the touch screen based AVN were pleasant in functions and touch response, and the BOSE 7 speakers were also satisfactory. However, the detail settings could be better. When I finished the test without overdriving by considering the road situation, the one-way fuel efficiency was just over 19km per liter, and it is surely good fuel efficiency, but the output reminded me of a feeling of disappointing. 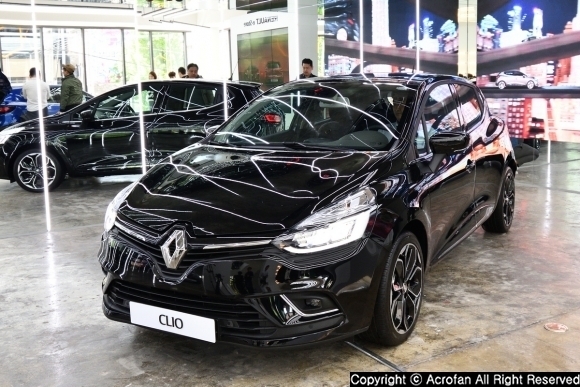 ▲ Clio cited the ‘B-segment import car’ as a competition, and has a strategy of winning as the position of a fashion car full of characteristics. The difficulty of the subcompact car market in Korea is not new, and there are strong movements of microcars, compact sized car, and small CUV around the market. In this situation, the strongest card for achieving its own performance is not merely a "small" car, but rather an emphasis on the value of a fashion car with a special personality. As Clio's price range, starting at 19.9 million won, is at the center of all of the segments mentioned above, it would be a useful strategy to show particular emotions and personality rather than practicality, performance, and economics that would be hard to dominate other segments. On the other hand, the entry of the Renault brand as it is will be an important starting point for Renault Samsung Motors' brand strategy in the future. The launch of Renault Samsung Motors is based on Nissan's technology, and this image is still left in ‘Samsung’. But the current portfolio is all based on Renault. As introducing the Renault brand ahead of renegotiation of brand license right, the reason of choosing ‘Clio’ that shows Renault’s character well might be due to changes such as erasing Nissan’s image of Renualt Samsung and the future brand strategy beyond market conditions. Clio is imported as an end product like QM3, but its position varies depending on the brand. The appearance and performance of the 'domestic-feeling imported car' Clio, which chose the competitors as the imported car bard of the same class, will be an important criterion for the future movement. 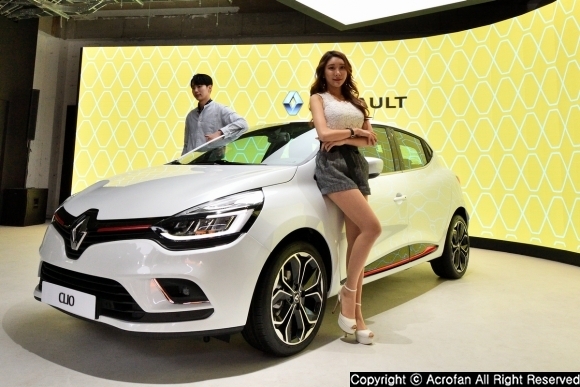 Moreover, Renault Samsung Motors is ahead of the time when it has to decide its position between the development of the Renault brand and its own brand in Korea, and the start of the anxiety and change seems to engage with the appearance of 'Clio'.